Home » New Release » “So Nice Duke” by Duke trio, it’s 1st release analog record from Combak corporation, and serious analog lovers quality. 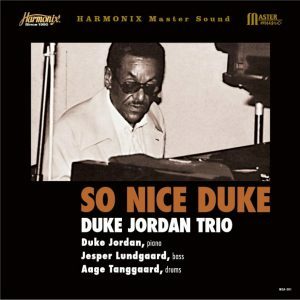 “So Nice Duke” by Duke trio, it’s 1st release analog record from Combak corporation, and serious analog lovers quality. MSA-001 “So Nice Duke” by Duke trio, it’s 1st release analog record from Combak corporation, Japan. 180g, premium edition, and serious analog lovers quality. The album was recorded by TBM Records in August, 1982 in a live at live house, Nagoya, Japan when Duke was 60 years old and was in his maturity as a musician.